allbranded knows exactly how to transform various items into premium promotional products. It doesn’t matter which price range the product belongs to – all ballpoint pens from the brand Prodir are premium quality and have been chosen for you carefully. IN the allbranded online shop, you can find a great selection of all popular promotional products in various different colours. Start your marketing campaign with the eye-catching branded Prodir pens now! The most sensitive part of our bodies are the fingertips. That is why Prodir lets the sense of touch speak for themselves and their brand. Their brand triggers thoughts worth more than 1000 words when asked about it, which shows their immense popularity. Already since the 70s, Prodir belonged to the leading manufacturers of personalised writing utensils, with their products being of high quality, environmentally friendly and efficient. With experience of over half a century and specialisation in ballpoint pens as the outright promotional classic, Prodir has earned its name as one of the best manufacturer of high-quality promotional products. The source of their success lies in Switzerland. There, promotional items are being developed, which show a dynamic design, high quality and simple elegance, and can not only care for your company’s image but also increase your company’s brand awareness. The secret of Prodir? Swissness paired with the will to connect elaborate technologies with modern design, all while keeping the environment in mind. Not only efficiency and innovation but also security and stability have been of great importance to the successful company since the beginning of their time. A remarkable expansion and highly qualified reinforcements in seven European countries support Prodir in their very own and personal goal: Personality Pens. Swiss Made. Behind those words lies an honest promise of the brand towards you, the customer, to always be uncompromising when it comes to quality standards. Prodir's branded pens are not only Swiss made quality products, but also innovative creations of one of the oldest and best promotional classic. Even if a ballpoint pen is actually an everyday object, which is taken for granted at home, on the go and in the office, there still are surprises regarding new pen designs. With its fascinating designer products, Prodir is one of the leading companies when it comes to innovation. Prodir pens are easily distinguishable in terms of their quality. In every step of the production, each pen is being subjected to strict quality checks, so you and your company can leave a positive and lasting impression on clients, co-workers and business partners. You can design every one of Prodir’s promotional products to match your corporate design and through this, give your branded pen a personalised look. Various pen designs, a huge colour selection and different techniques of branding, such as engraving logos or printing slogans, enable you personalisation of products according to your corporate design. Choosing Prodir’s ballpoint pens means choosing a renown quality product with personality, which offer you great advertising opportunities. Usefulness is an essential requirement when it comes to the advertising success of your personalised item. This is why it is recommended to advertise with products, which will be constantly used by potential clients, business partners as well as co-workers every day. So how about choosing a Prodir pen as your promotional gift? You will not only demonstrate your good sense of taste but also the importance you place in business relationships. 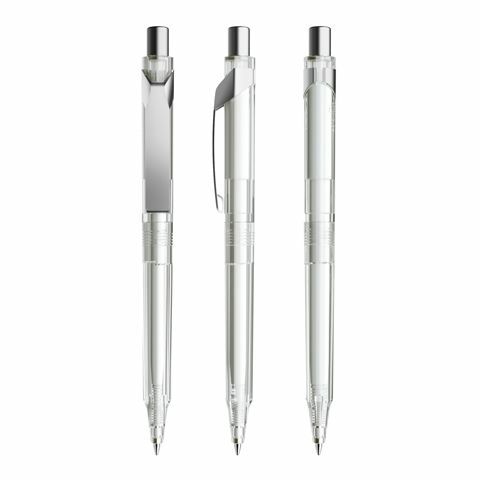 As promotional items, unlike no name pens, Prodir pens have the benefit to be manufactured by an award-winning brand. By choosing an innovative, responsible and high-quality brand your company, products and services will be positively influenced by Prodir’s reputation as well. This process of brand transfer will definitely strengthen the positive perception of your brand’s presence. Finding new promotional products is a nerve-racking and very exhausting matter, which is we at allbranded will help you with that gladly. But first, you need to know which target group you would like to address with your giveaways. If you would like to generate a good impression and to come across as being a serious and innovative business, you should choose Prodir pens as your promotional product. 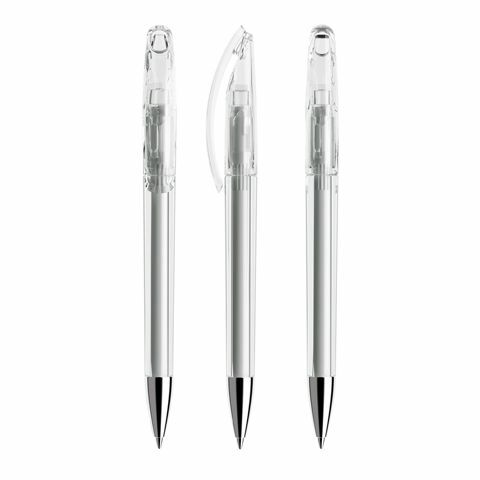 With a Prodir pen you show very clearly that your customers and business partners are very important to you and you will not shy away to spend a little more for them. 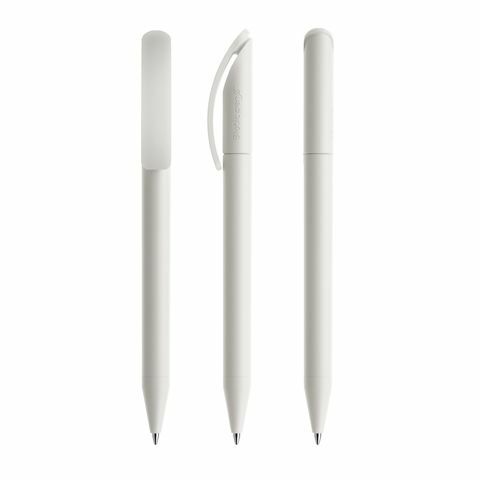 This promotional pen will also be used long after the initial give away date, as it is a brand name pen. Should the cartridge be empty, it can easily be filled with ink. Investing in Prodir pens will be a very prospective investment, which will ensure a long lasting and strong advertising effect. If you turn towards allbranded, you will work with an experienced and reliable partner in terms of promotional products. 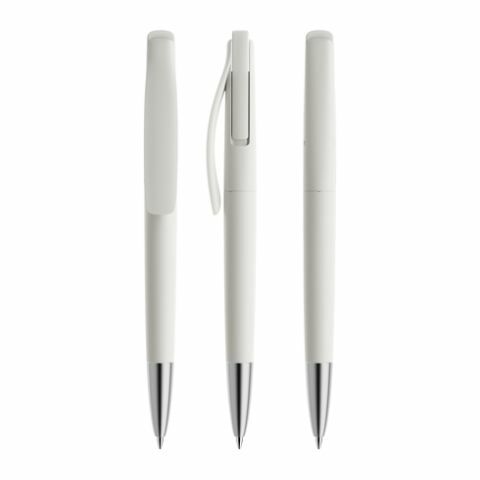 No matter which target group you would like to address – with the allbranded ballpoint pens you are on the safe side. Ballpoint pens were already the all-time favourite promotional classic and even now studies show that ballpoint pens are still immensely popular! They are one of Britain’s most favourite promotional item and generate, according to the ASI Impressions Study, more brand impressions than bags, caps, T-Shirts and Co. As many as up to 5615 instances of eye contact can be generated by a single pen during its product life cycle. If you are going to decide for a Prodir pen, the only thing which is left to do is tell us your design preferences and you will be a proud owner of a personalised pen in no time.